We have detailed some of the most exciting and extraordinary keno wins around Australia which have been truly life-changing for some fortunate players. Keno is a game which requires punters to pick a series of numbers – if they are selected, you win, it’s as simple as that. With wagers able to be placed for as little as $1, the chance-based game can also be extremely lucrative if you are lucky enough to have your numbers drawn, like these listed winners. Zeljko Ranogajec is a well-known professional gambler in Australia. The biggest Keno win in Australia belongs to professional gambler Zeljko Ranogajec, who pocketed $7.5 million when playing Keno at the North Ryde RSL Club in 1994. It is reported Ranogajec visited the club several times in the days before his big win with million dollar cheques. Some sources have claimed he had to invest a considerable amount more than $7.5 million to pull off the win, but it is believed he came out in front after collecting smaller wins along the way. 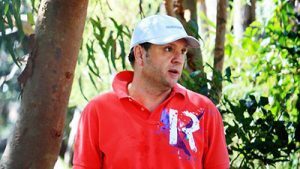 Ranogajec is well known in various gambling circles, with many claiming he is the TAB’s largest punter, casinos referring to him as ‘the joker’ and high-profile racing figures regarding him as the biggest punter in the world. It has been suggested that Ranogejec’s betting makes up between six and eight per cent of Tabcorp’s annual $10 billion Australian betting turnover, equating to around $600-$800 million. Additionally, he also bets tens of millions more with local bookmakers. Sitting in the Baxter Hotel in Victoria, Debbie Bell was down to her last few dollars when she purchased a keno ticket for $4. After randomly jotting down a couple of numbers, it wasn’t until the pub announced someone had just won $1.179 million that Bell thought to check her ticket. It was a case of beginner’s luck, with Bell only learning how to play Keno a week earlier. In 2010 Daniel Simmons was enjoying a night at The Club Hotel in Lowood, north west of Brisbane, QLD. The 57-year-old truck driver was playing Keno with a couple of mates, placing a wager on 30 games. On the fifth game luck was on their side, landing a prize of more than $2 million. Simmons shouted drinks on the house and gave each waitress a generous tip. He then split the winnings with his two mates at the pub with him, with each man pocketing a tidy $660,000. Just three people were inside the Tugun Seahawks Rugby League Football Club when a patron won over $2.9 million on keno in 2014. The winner was a regular at the club. The 44-year-old father originally thought he had won $10,000 – however he soon learnt of his life-changing win and said he would use his winnings to pay off his mortgage. A machine operator for more than 20 years, his winning numbers were 1, 3, 9, 10, 11, 15, 24, 25, 69 and 80. It was the biggest win in the history of the Club, surpassing the previous record of $13,000. After playing the same numbers for 25 years, one Queensland retiree landed a $3.17 million return back in 2011. Playing the game at the Jimboomba Country Tavern in Logan City, the man quietly watched his numbers appear on the screen, shook his head in disbelief and walked out the door. While he was excited, the man didn’t want to jump up and down, so instead he headed home and rang Keno itself to make sure he had really won. It was a welcome win for the grandfather who sells firewood for a living. A 68-year-old man from Newcastle, NSW, won a whopping $4.36 million in June 2013. While he chose to remain anonymous, the retiree did announce his plans to donate a large share of his fortune to the Calvary Mater Hospital which had cared for his wife until her death two and a half years prior to the win. With no children, the man said he would continue to live his life as per normal, enjoying a quiet beer at his local pub each and every day. For those hoping to re-create his win, the numbers were 2, 14, 21, 30, 32, 34, 42, 47, 56 and 75.